Dictations allow you to train several skills at once: vocabulary, reading, listening and writing. 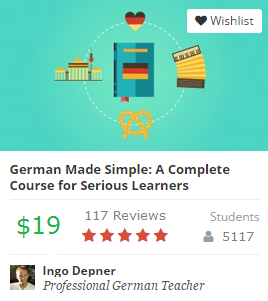 For more dictation exercises please join 8000+ successful students who have already taken my course “German Made Simple”. Please click here for more information on the video course.